Obituary for Francis "Joe" Marshall Rea, Jr. | Crouch Funeral Home, P.A. 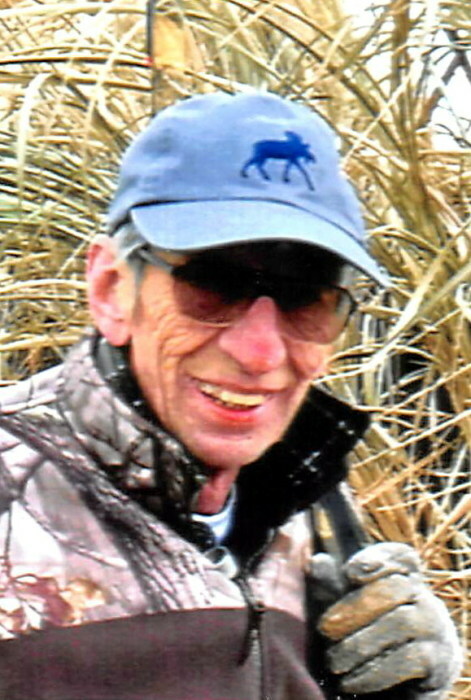 Francis "Joe" Marshall Rea, Jr.
Francis Marshall “Joe” Rea, Jr., 78 of Elkton, MD, died Friday, April 12, 2019 in the UM Upper Chesapeake Medical Center, Bel Air, MD. He retired from General Motors with over 28 years of service. Joe enjoyed woodworking, hunting, fishing, gardening, taxidermy and boating. Most of all he enjoyed his time with his grandchildren. Survived by his wife of 40 years: Mary (Fischer) Rea; four daughters: Lynda Miller and her husband Rusty of Rising Sun, MD, Donna Miller and her husband David of Rising Sun, MD, Monica Stampfl and her husband Kevin of Moss Beach, CA and Melissa Funk and her husband Van of Elkton, MD; two sons: Frank Rea and his wife Carol of Elkton, MD and Mark Harris and his wife Stephanie of North East, MD; three sisters: Shirley Clark and her husband John of Elkton, MD, Arlene Arrants and her late husband Walter of North East, MD and Lora Blackson and her husband Taylor of Townsend, DE and two brothers: James Rea and his wife Sarah of Elkton, MD and Jerry Rea and his wife Jean of North East, MD. He is also survived by his grandchildren: Craig, Krissy, Katie, Cody, D.J., Emily, Jessica, Ashley, Drew, Megan, Joe and great grandson Brian. In addition to his parents, he was preceded in death by his brother: Wayne Leroy Rea. Friends may call Thursday, April 18, 2019 from 6:00 pm until 8:00 pm at Crouch Funeral Home, P.A., 127 South Main Street, North East, MD. Funeral service, conducted by Rev. Ray F. Graham, will be held Friday, April 19, 2019 at 11:00 am.